Several months back, a six- or seven-year-old boy knocked on my door. The matter was urgent: an unidentified snake had shown up in the neighborhood. I accompanied him halfway down the block to the place where an uncle of his and another neighbor, a physician and an engineer, stared attentively—while keeping a distance—at something right in the middle of the street. I almost stepped on the animal. 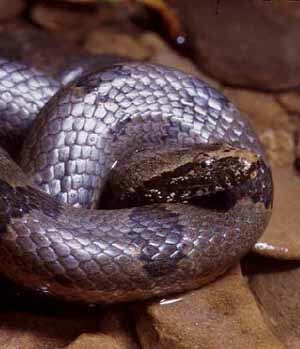 It was a newborn common pygmy boa, relaxed, thinner than a laptop’s power cable. 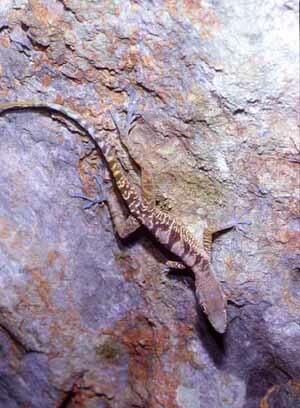 Typical of its species, it was coffee-colored, with dark blotches above, and was yellowish at the tip of the tail. The medical doctor, who dominated the situation, had suspicions it could be a rattlesnake. The incident is not at all unusual. On the contrary, it reflects well the generalized ignorance about animals indigenous to the archipelago. This can be corroborated every day of the year at any place where hand-crafted souvenirs are sold: the great majority of the items consisting of animal figures are reproductions of some exotic creature, from horses and bulls to land tortoises and elephants. An identical thing happens with traditional paintings. The tropicality of landscapes often comes from depicting a majestic ceiba tree, or imported flamboyants and coconut trees. In the best of cases the scenes idolize vigorous, unbridled gardens, or domesticated pieces of jungle of an open structure, reminiscent of environments more proper of a moderate climate. None of the painters considered great represented authentically Cuban animals in a leading role. The most renown paintings portray at most roosters, horses or peacocks. The fault is old, hard to repair, and not at all original. The same occurs in Puerto Plata (Dominican Republic) or San Juan (Puerto Rico).